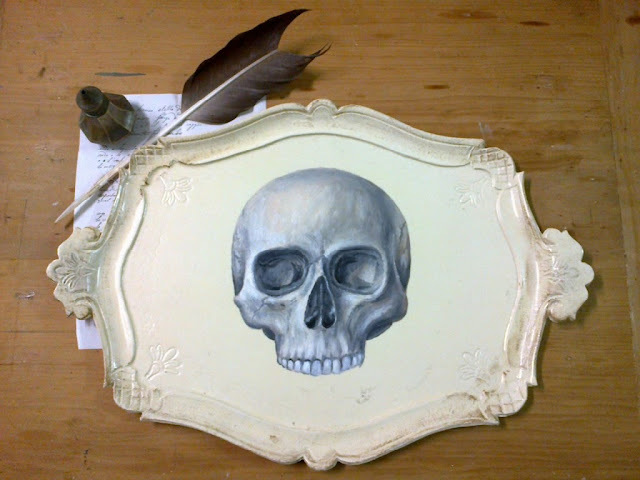 ART Skull on tea tray . skull tray . mourning tea .